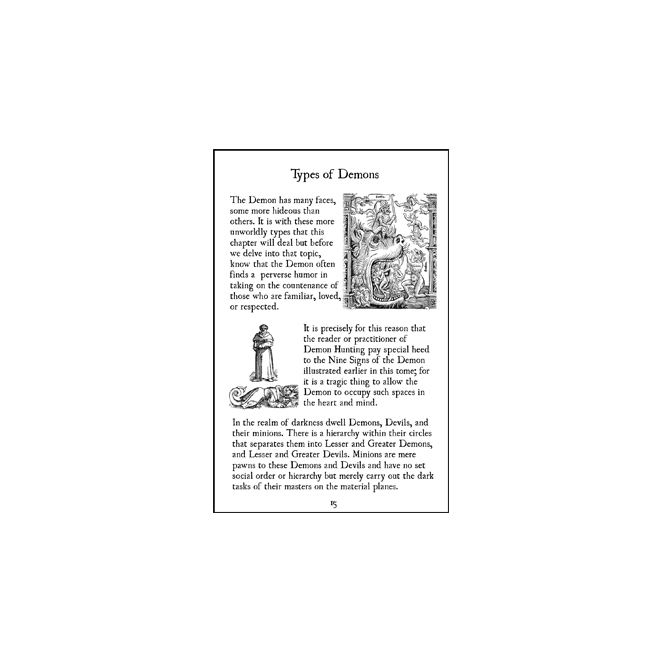 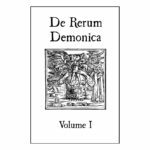 De Rerum Demonica (On The Nature of Demons): A 26-page (fictional) tome on the nature of Demons and Devils, penned by a long deceased monk during the height of his studies in the arcane arts. 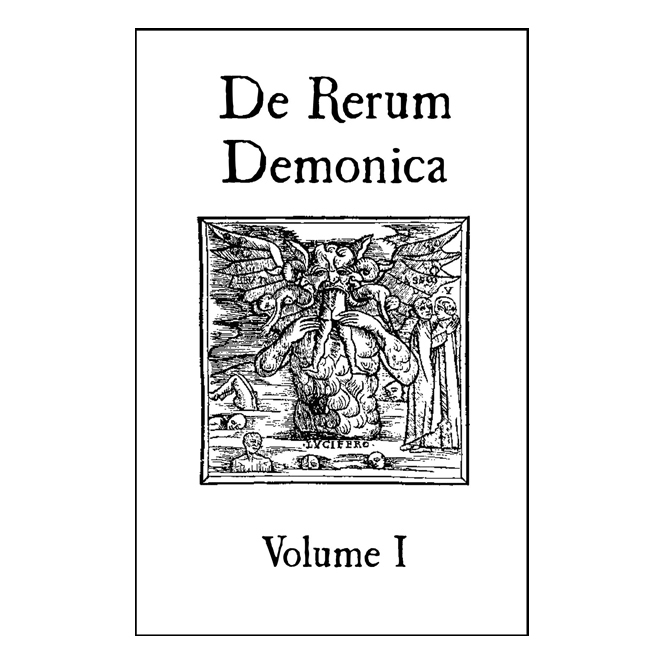 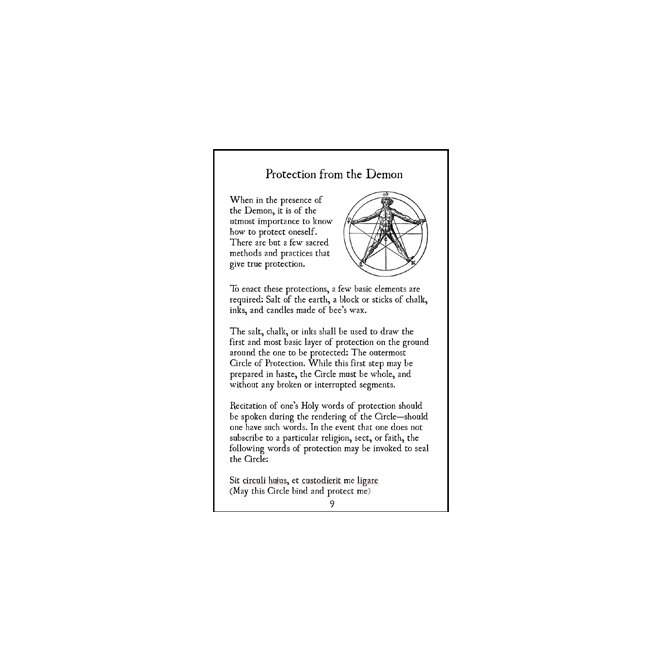 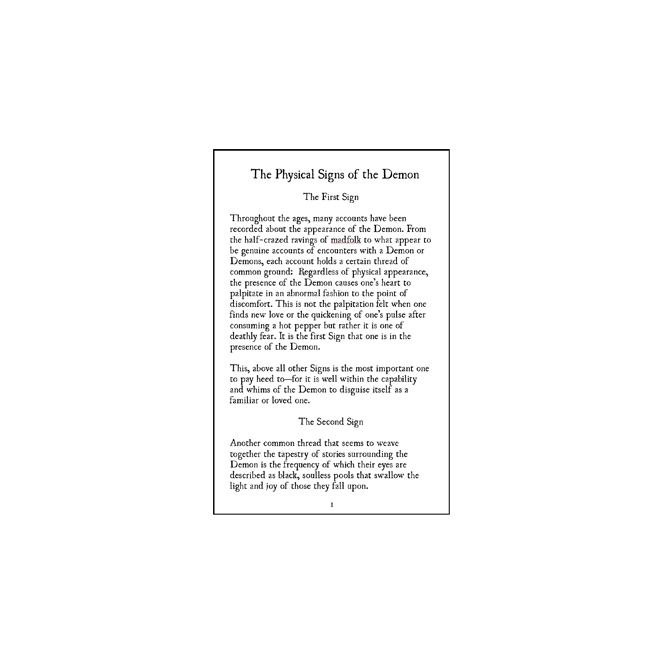  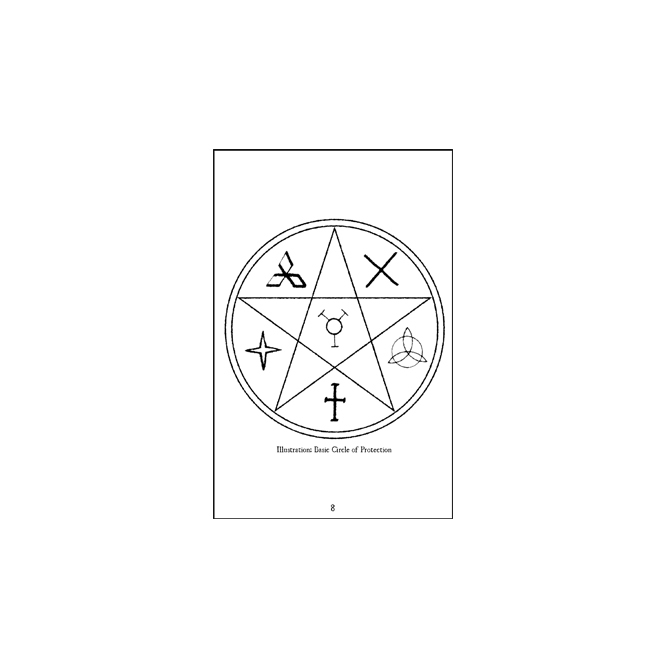 The book features original and public domain art to illustrate each chapter, including circles of protection, symbols to ward demons and devils, and other related material. 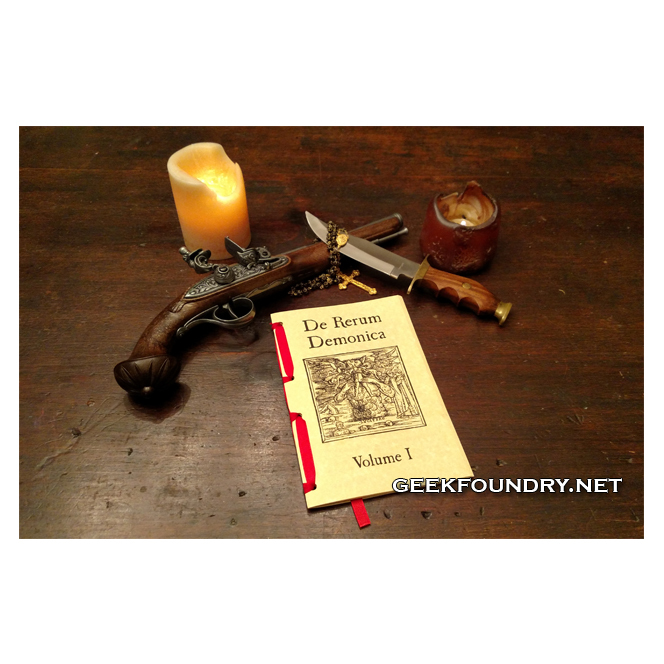 Works perfectly as a “found tome” for your Cleric, Priest, Witch or Demon Hunter, Necromancer, Paladin, or other RPG characters. The book is punched and hand-laced with red lace to bind the pages together.